If you've been following my blog for the last few months, then you'll know I've been working with Proactiv Skincare to see if their products can help keep my skin clear after being on Roaccutane. I've been testing them out since August now so, of course, I've developed a few favourites along the way as their skincare genuinely does work! In today's post, I'm just going to talk you through bits of my routine and my current faves that I've been using a lot so you know what to pick up if you fancy testing out some yourself! The Proactiv Skin Smoothing Exfoliator is basically step number one in the process, as I use it to cleanse my face. Don't be too worried about the 'exfoliator' part, as you can use this daily due to how gentle it is. I really love using this as a second cleanse on an evening after I've removed my makeup to give my skin a really good clean! Next I have two toning and mark- fading products. The Proactiv Re-Texturising Toner unclogs your pores and really helps to smooth your skin out, which is ideal after you've had any blemishes (darn you hormones!). I do use this daily, though, and you really do notice a difference over time! The Proactiv Mark Fading Pads are really handy for fading those really stubborn marks that you may have after a breakout. I find these particularly useful around the chin or jawline, as I find any blemishes I get around there are tend to leave marks so using these on a regular basis does seem to do a great job at accelerating the fading process. After cleansing and toning, I'll use some extra treatments to finish the whole process off. I love the Proactiv Pore Targeting Treatment which uses salicylic acid directly on the place where you're more likely to develop blemishes. I tend to use this around the nose and the chin plus along my jawline a little bit, as that's where I always got deep, under the skin blemishes and I don't want those to return! They were so painful *crying emoji*. I find my skin looks so much smoother around those areas after using this, so it's a perfect skin pick-me-up if it's looking congested at all. Finally, you've got to use a moisturiser especially in winter, (is anyone else feeling the cold on your skin this year?) to finish the routine. The Proactiv Complexion Perfecting Hydrator is a great option as it does a lot in one handy little tube. It gives the skin a boost of hydration without feeling heavy or overloading it, it reduces redness which is ideal after a lil' breakout, it helps with oil and evens out your skin. It's such a good all rounder and feels silky-smooth, too. I really do like this product from the range! So, that's my roundup of faves! 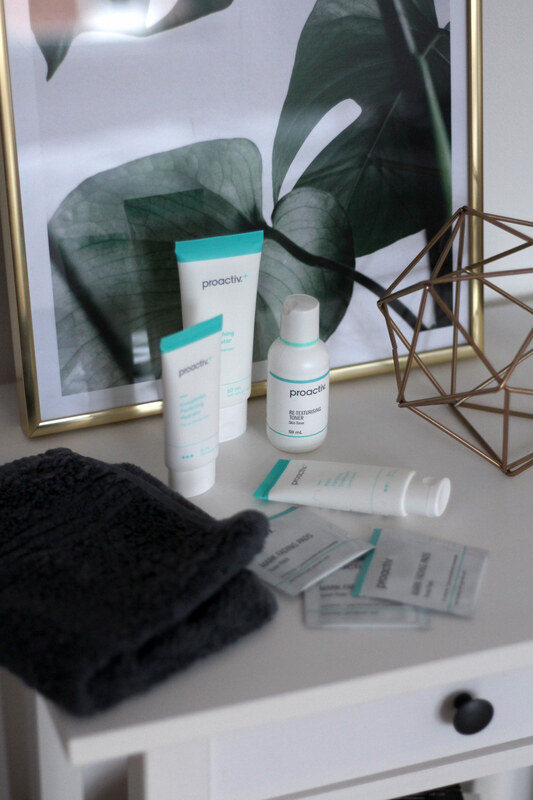 Proactiv have such a big range of products out to try, so you're bound to find a routine that works for you. If you have blemish prone, oily or skin, like mine, that has undergone treatment but wants to keep blemishes at bay, then I'd hop right on over to their site and have a lil' browse!